Game Mechanics: Advanced Game Design is an in-depth resource that teaches you to craft mechanics that generate challenging, enjoyable, and well-balanced gameplay. You'll discover at what stages to prototype, test, and implement mechanics in games and learn how to visualize and simulate game mechanics in order to design better games. Along the way, you'll practice what you've learned with hands-on lessons. A free downloadable simulation tool is also available in order to follow along with exercises in the book in an easy-to-use graphical environment. • Design and balance game mechanics to create emergent gameplay before you write a single line of code. • Visualize the internal economy so that you can immediately see what goes on in a complex game. • Use novel prototyping techniques that let you simulate games and collect vast quantities of gameplay data on the first day of development. 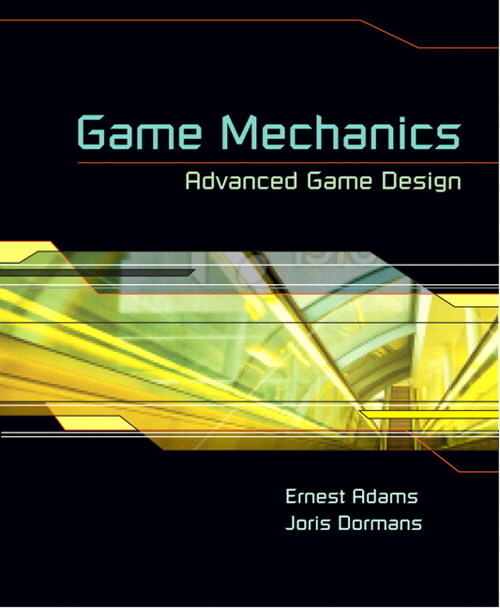 • Apply design patterns for game mechanics – from a library in this book – to improve your game designs. • Explore the delicate balance between game mechanics and level design to create compelling, long-lasting game experiences. • Replace fixed, scripted events in your game with dynamic progression systems to give your players a new experience every time they play. Ernest W. Adams is a senior lecturer in the Department of Game Design at Uppsala University Campus Gotland in Sweden. He is also a game design consultant and author who has served in the video game industry since 1989. He worked at Electronic Arts for 8 years as a programmer, lead designer, and producer, chiefly on the Madden NFL football series. He has developed online, computer, and console games for everything from the IBM 360 mainframe to the iPhone. He was also the founder and first chairman of the International Game Developer's Association (IGDA), and is also a popular speaker at conferences and arts festivals around the world. Joris Dormans is well known within the game science and development community. He created the popular development tool Machinations and authored several influential papers. Together with IGDA founder Ernest Adams he's written game design books. As an independent, freelance game designer he published and worked on several video games and board games, including story-driven adventure games, physical platform games, and a satirical political card game.